LISBON, May 10, 2010 (AFP) - The return of a cloud of volcanic ash from Iceland was expected to force the cancellation of hundreds of flights Monday but airports reopened in Portugal on the eve of a visit by Pope Benedict XVI. 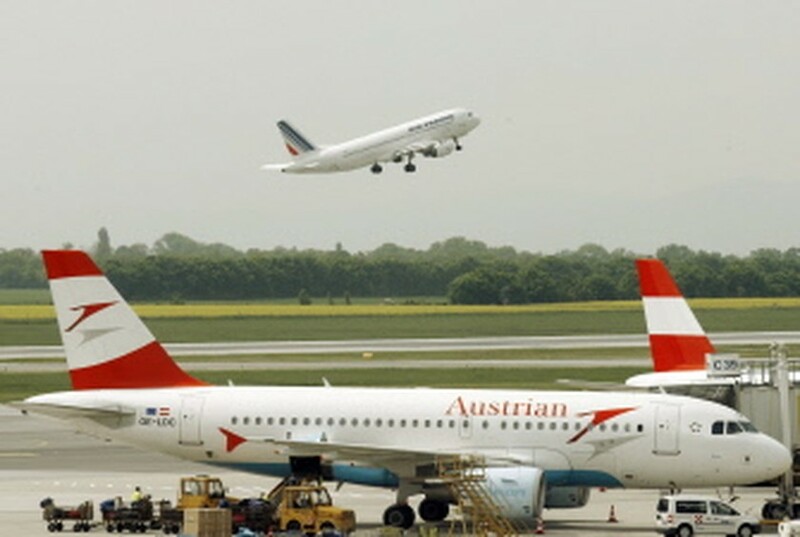 About 500 fewer flights would take to the skies in Europe on Monday because of the ash cloud, which would also force transatlantic planes to fly lengthy detours, European air traffic agency Eurocontrol said in a statement. Lisbon airport, where Pope Benedict XVI is due to arrive on Tuesday for the start of a four-day visit, reopened Monday at 9:00 am, four hours ahead of schedule because the ash cloud had moved away "more quickly than expected", civil aviation authority NAV spokeswoman Sofia Azevedo told AFP. The airport in the northern city of Oporto also reopened as did all seven airports in neighbouring Spain, including at Bilbao and Santander, which were closed on Sunday because of the risk posed to engines by the ash. But Eurocontrol warned that during Monday afternoon "areas of higher ash concentration could move in a north-easterly direction from the Atlantic into the Iberian Peninsula", leading to fresh flight disruption in Spain and Portugal. Elsewhere airports reopened in Austria, England, Germany, Ireland and Scotland, except for the airport at Barra island in the west. But transatlantic flights were suffering delays, especially those departing from London's Gatwick airport. A Virgin Atlantic flight from Gatwick to Orlando in Florida that should have departed at 11:15 am was delayed until 4:15 pm while another flight to Las Vegas was pushed back to 5:45 pm from 11:25 am. Flights to Canada and the Caribbean were also suffering delays. No airports were closed in Bulgaria on Monday but officials in the country said there was a risk that the ash would affect its skies later on Monday. The eruption of the Eyjafjoell volcano on April caused travel chaos worldwide, with airspace closed over several European nations for a week last month because of fears the ash would damage aircraft engines with fatal results. It was the biggest aerial shutdown in Europe since World War II, with more than 100,000 flights cancelled and eight million passengers affected. Recent images have shown activity in the volcano intensifying. Experts at Britain's Met Office said Sunday it was sending ash up to heights of 30,000 feet (9,100 metres).